Travel Channel's "Hotel Showdown Impossible" and rests in one of the most beautiful locations in New Smyrna Beach. While the breathtaking views and cozy atmosphere enhances your stay, many of our guests return again and again for our impeccable dedication to one-of-a-kind vacation experiences. 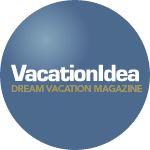 Discover our romantic bed and breakfast in Florida and all the best things to do in New Smyrna Beach by downloading your free copy of our Vacation Guide! Our guests also have use of 5 boat slips at our deep water dock located right across the street from the Main House. Named one of the Top 20 Surfing Towns by National Geographic and one of Florida's best beaches, New Smyrna Beach is truly an Atlantic Coast gem. As you explore the area, you'll discover many incredible and romantic things to do in New Smyrna Beach. From dining in the "mom and pop" eateries, browsing through the variety of boutique shops, or reveling in some fun in the sun, boredom is never an option in this "Old Florida Style" town. Our prime location also places you just minutes from major Florida cities and attractions including Port Canaveral, Orlando, and St. Augustine. This provides you with plenty of opportunities for memorable day trips to some of Florida's most beloved destinations. Planning your happily-ever-after? Our New Smyrna Beach bed and breakfast will help you host beautiful weddings. Our incredible waterfront location is perfect for a romantic and memorable ceremony or reception, or both! As one of the most popular New Smyrna Beach wedding venues, our inn can accommodate up to 100 wedding guests and can even recommend some of the best local vendors. It's sure to be a day that you and your partner will happily reminisce upon for as long as you both shall live. We want to make your vacation experience one you'll be talking about for years to come. That's why we offer a variety of New Smyrna Beach specials to take your stay with us to the next level. Whether you are looking for romance, adventure, or relaxation, there is a perfect package for you! 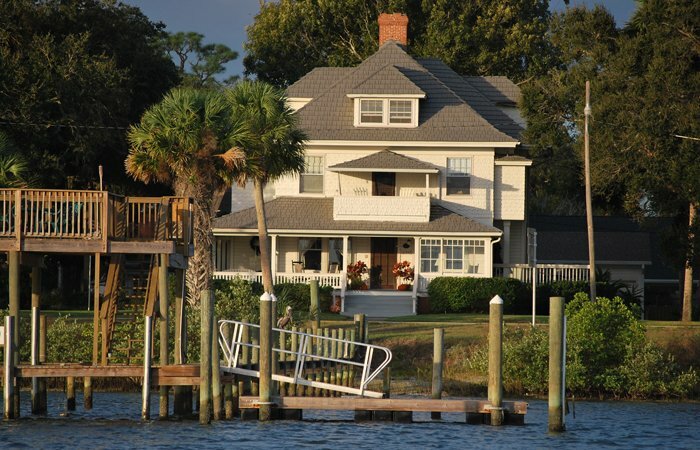 We look forward to welcoming you to the Night Swan Intracoastal Bed and Breakfast in New Smyrna Beach soon! Ready for your dream beach getaway? 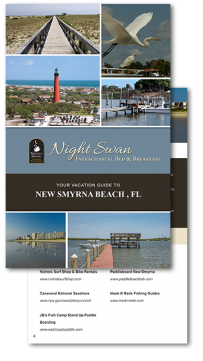 Book your stay at the Night Swan today or learn more about us and why we're one of the best hotels in New Smyrna Beach. Don't forget that Night Swan B+B Gift Certificates make great gifts for all occasions. They can be emailed right to you. Mother's Day, Father's Day, Weddings, Birthdays and Anniversaries! Keep us in mind for last minute gifts that are always perfect! 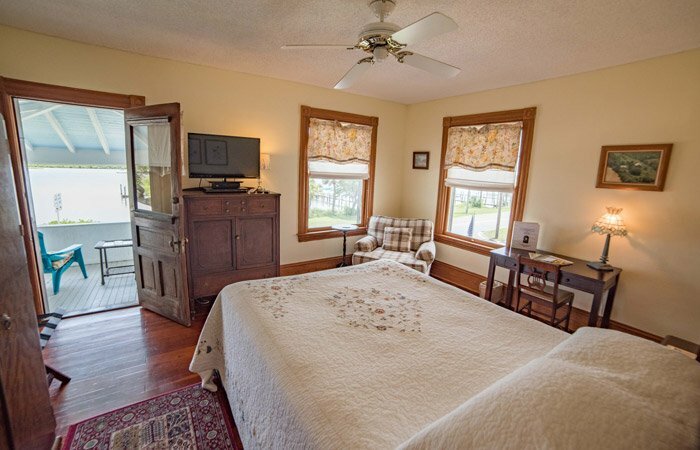 Our rooms are located in 3 buildings on the property. The Main House, The Cygnet House, and the Guest Cottage. Each has its own unique feel and guests always seem to find a room that is just right for them. 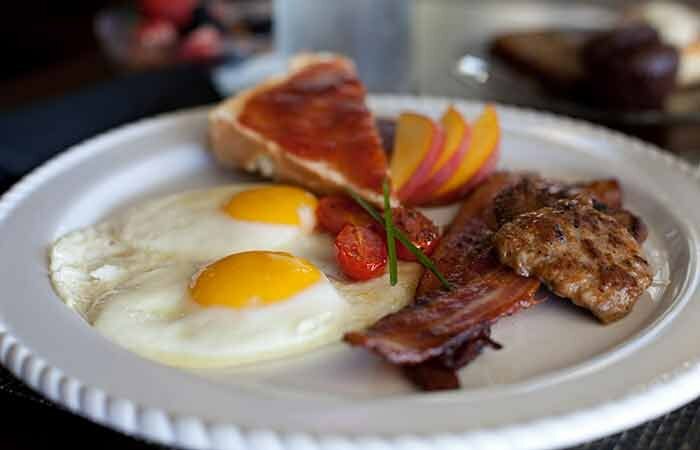 It isn’t a B&B without a delicious breakfast, is it? Well, we certainly have you covered. Whether it is homemade muffins and breads that you crave or a simple scrambled egg, we aim to please. There are many things to do in New Smyrna Beach, FL and surrounding areas. There are so many attractions that you must figure out how to fit in everything that you want to do while staying with us.